This furnished villas location is properly named "Perfect Drive for a reason! There are views of sprawling greens from the golfing range just beyond your front door, tennis courts steps away and a covered back lanai overlooking the grand Club House of prestigious Lake Jovita. This is perfect Southern living at its finest. 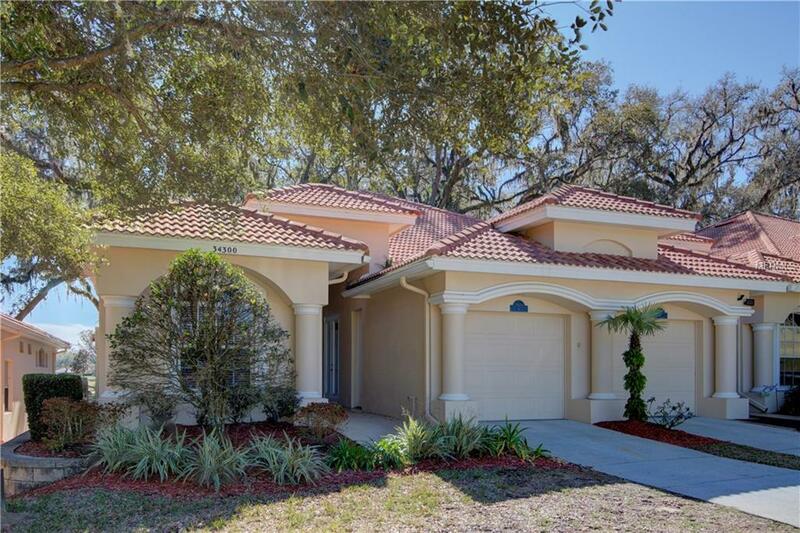 This 3 bedroom, 2 bath home has a one car garage and driveway space, offering a great place for your golf cart. The master bedroom has private entry from the front entry, with French door closure and a massive bathroom with jetted tub, glass framed shower, his/hers vanity and spacious walk-in closet with built-in organization features. Two guest bedrooms offer spacious room for golf guests. Guest bathroom has jetted tub and separate shower with hallway linen closet. Laundry room offers space for hanging clothing, counter top space and storage cabinetry. Vaulted ceilings in living and dining area, along with the two three-paneled sliding glass doors, create an open and spacious feel. The large, full kitchen includes ceramic tile, black appliances and wood cabinetry with many storage spaces and also has a large pantry. Perfectly placed in this private golf and country club community, this villa has all the amenities needed for relaxed living.